And as I begin to write multiple posts from the Wine Bloggers Conference I attended in Lodi, California, this refreshing number will keep the creative juices flowing! 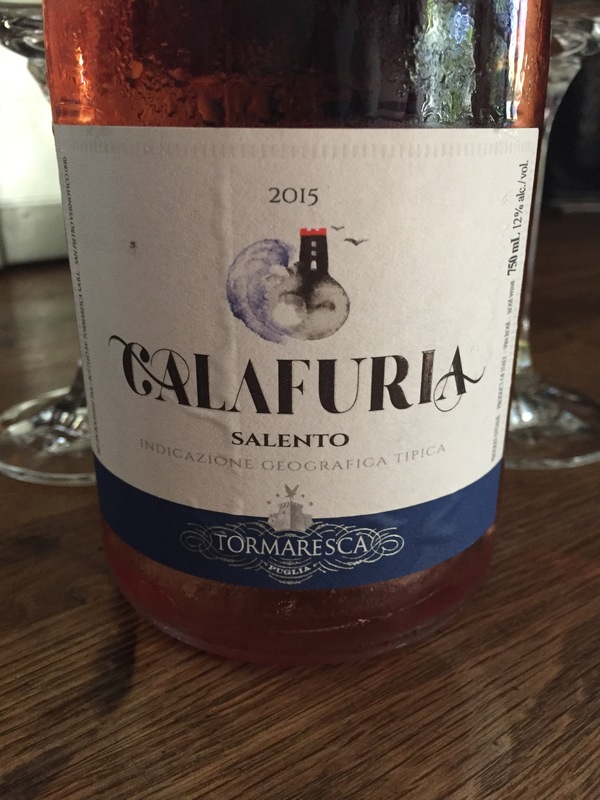 Tormaresca Calafuria Rosé from the area of Salento in Puglia, Italy – is made from 100% Negroamaro. A red grape that usually is made as a red wine – which is earthy and delicious. So of course if I find a grape like this bottled as a rosé I jump for joy (inside – not in the store) and buy it immediately. Because I will forever be a student. Always learning, always trying, and always jumping outside of the sandbox. And my perfect rosé could be very different from yours. Mine is balanced with acidity, minerality and fruits. And this one was definitely a favourite style for me. Dry. Balanced. Delicate with floral notes, yet energetic with citrus fruits and light fresh berries with some stone fruits. It’s got a touch of minerality as to not overwhelm its character. Enjoyed cold, with some charcuterie or spicy salami pizza. Hell yes! 😉 But seriously, pair it with something fresh for the season like seafood, salads (add some goat cheese), even a roast chicken (mmmm) or crab. Keep exploring wine lovers – there is much wine to be discovered!